Whether setting up a family estate plan or helping a bank untangle issues as a corporate fiduciary, Jennifer Davis is adept at taking complex estate and tax planning matters and applying them to clients’ daily needs. As a member of the firm’s Trusts & Estates Practice Group, she works with clients ranging from business owners and multi-generational families to some of the region’s largest financial institutions. 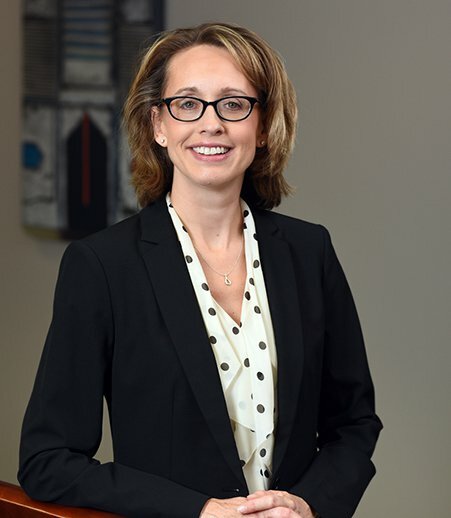 Jennifer has helped individuals and families with issues related to estate planning, charitable planning, probate and trust administration, family business entities, succession business planning and wealth preservation strategies. She has assisted with trust, estate and tax controversies, tax return preparation and prenuptial and postnuptial agreements. Many estate planning clients continue to turn to her for guidance on asset protection as life changes or business questions arise, and she works to maintain those relationships through responsive service and sound advice. In addition to representing individuals, Jennifer represents financial institutions regarding issues that arise while serving as corporate fiduciaries. She also helps broker/dealers, trust companies, banks and investment advisors in handling and resolving day-to-day issues stemming from the authority granted to trustees, powers of attorney, personal representatives, administrators and beneficiaries. She works with a number of non-profit organizations on their planned giving programs, endowments and administrative issues. Jennifer writes and speaks frequently on estate planning topics — including charitable planning, planning for children with special needs, premarital agreements, probate administration and planning for digital assets — and writes for the firm’s Trusts & Estates newsletters. She is a member of the firm’s Board of Directors and is a former leader of the Trusts & Estates Practice Group. Interview with Jennifer Davis, "Unlocking Clients’ Digital Lives"
Interview with Jennifer Davis, "Your online life remains big deal — even in death"
Interview with Jennifer Davis, "Legal Corner: Know What You Can Trust"
Interview with Jennifer Davis, "Does estate legal work fit in today's big-firm model?" Interview with Jennifer Davis, "Year-End Gifting Opportunities"
Interview with Jennifer Davis, "New trust offers shield from malpractice"
Interview with Jennifer Davis, "Build Investment Relationship on Trust, Shared Goals"
Interview with Jennifer Davis, "Exemptions create great era for gifting"
Interview with Jennifer Davis, "Gift tax rules make now a good time to give real estate"
Interview with Jennifer Davis, "One-time Tax Exemptions"
Interview with Jennifer Davis, "One-time Exemptions Help Skirt Estate Tax Issue"
"Customizing an Estate Plan for Today's Family"
"Tough Calls: Estate Planning for Families Facing Addiction Issues"
"From Simple to Sophisticated: Top Ten Planned Giving Techniques"
Moderator, "How to Identify a Probate Case and Select a Proper Procedural Path – Moving Forward with the Basics"
"Handle with Care: Planning for the Fragile Beneficiary"
"Stay Linked with Your Clients by Helping Them Forever Friend Their Digital Property"
"Handle with Care – Planning for the Fragile Beneficiary"
"Just Because It's Irrevocable Doesn't Mean It's Irrevocable"
"Planned Giving - Not Just for the Rich and Famous"
"Ethical Scenarios for Probate and Estate Planning"
"Problems in Estate Planning for a Second Marriage"
"Litigation Settlements in Probate Matters"
"Golden chance: How to take advantage of new estate planning opportunities"
"Shall a Special Needs Trust be created?" "From Simple to Sophisticated: Top 10 Planned Giving Techniques"
"Flexibility in Your Estate Plan"
"The Importance of Protecting Your Digital Assets: What it Means for Your Estate Plan"
"Coordinating Your Retirement Accounts With Your Estate Plan"
"Estate Planning for Professional Athletes"